Registered nurse schools in Pennsylvania prepares nursing aspirants and nursing leaders to work in a dynamic and challenging healthcare world through comprehensive undergraduate and graduate programs. These programs create vibrant and student-centered environment for learning. The coursework prepares them for the NCLEX-RN examination in order to avail lucrative career opportunities. Those students, who wish to become an RN, have multiple options of program and education in the state of Pennsylvania. There are some requisites that every student is expected to meet, for the sake of getting admission in the desired RN school. The appropriate age for RN program is 18 years. The aspirant should have good command in English language. The prospective candidate must have a high school degree. Students should have clean criminal history and must qualify drug test and criminal background screening. It is compulsory to submit a valid photo ID, fingerprint report and address proof. One should clear TEAS-Test of Essential Academic Skills, which is conducted by the most of the institutions. Associate Degree in Nursing: ADN is a stepping stone for entering in the health care industry. The curriculum takes two years to complete and mainly focuses on technical aspects of nursing. An associate degree combines classroom sessions, laboratory practices and clinical experiences at various settings that involve critical care units, pediatrics, mental health, obstetrics and community health which allows students to learn about different areas in which they can specialize. Bachelors of Science in Nursing: BSN degree is a 4-year program that assists you attain administrative and leadership positions. The curriculum incorporates basic fundamentals of nursing along with profound study of liberal arts and science courses. It develops professional values, and is designed to promote integration of skills and knowledge at different health care centers. Diploma Course: Diploma in nursing is an entry-level program which generally takes two-three years to finish. It gives emphasis on direct patient care through meticulous hands-on program. These programs prepare candidates to work in clinics, physicians’ offices, hospitals or any other settings. But, job prospects for diploma holders are limited. Direct Entry MSN Program: This program offers an opportunity to those individuals who wish to start their nursing career after completing the bachelor degree in any discipline other than nursing. Accelerated BSN Degree: Second degree BSN program is a perfect pathway for those students who wish to become an RN, but doesn’t hold a nursing bachelor degree. It is a fast track program of 16-18 months that prepares students for facing complexities of the nursing field. LPN to RN: Students applying for this program must have a valid LPN licensure. With the help of this program, working licensed practical nurses can achieve advanced competency and develop skills required to meet the demands of today’s nursing world. RN to BSN Program: This program is aimed for those RNs who hold diploma or associate degree and want to obtain bachelor degree. It is designed to enhance the critical thinking, problem-solving, communication skills and decision-making proficiency. 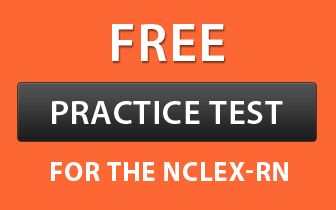 Above mentioned programs allow aspirants to take the NCLEX-RN exam for earning a licensure. Master of Science in Nursing: Master degree prepares you for delivering sound and high quality nursing services in a specialized area. It equips students with the skills and expertise needed for advanced practice roles in the changing health care industry. This program gives a chance for better career opportunities with a lucrative pay. Doctor of Nursing Practices (DNP): It is a practice-based coursework that prepares aspirants for highest positions.The curriculum incorporates wide know-how of nursing that develops organizational, clinical, and leadership skills. It helps in creating and implementing better care plans that can affect the healthcare outcome significantly. A list of registered schools in Pennsylvania is mentioned below with valid address, contact number and official websites.